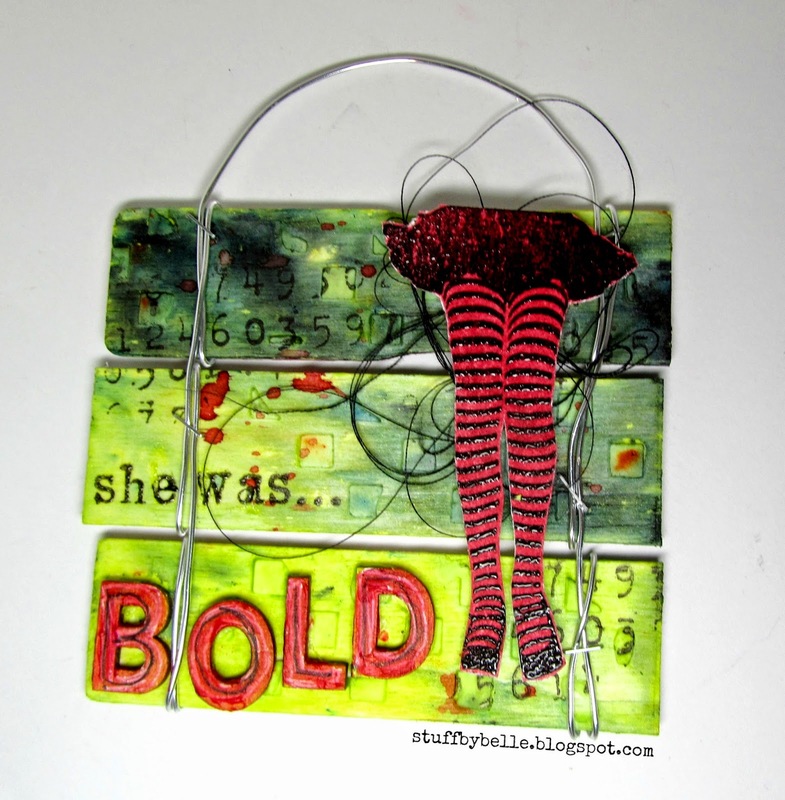 I really want to be a Prima Ribbonista and guess what?? It is time again to give it a shot! Round one is to share three (only three-haha) projects demonstrating style and talent...of course using May Arts products can't hurt! The first project I would like to share is actually one I did for a guest spot on the May Arts blog last year. 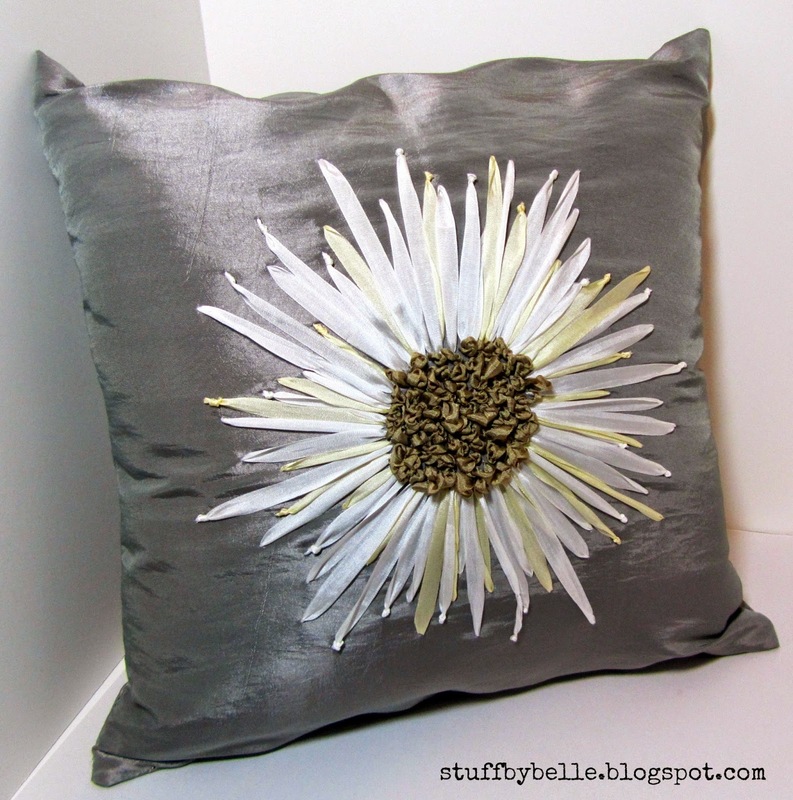 It is a pillow with a chrysanthemum embroidered in fabulous May Arts silk ribbon. 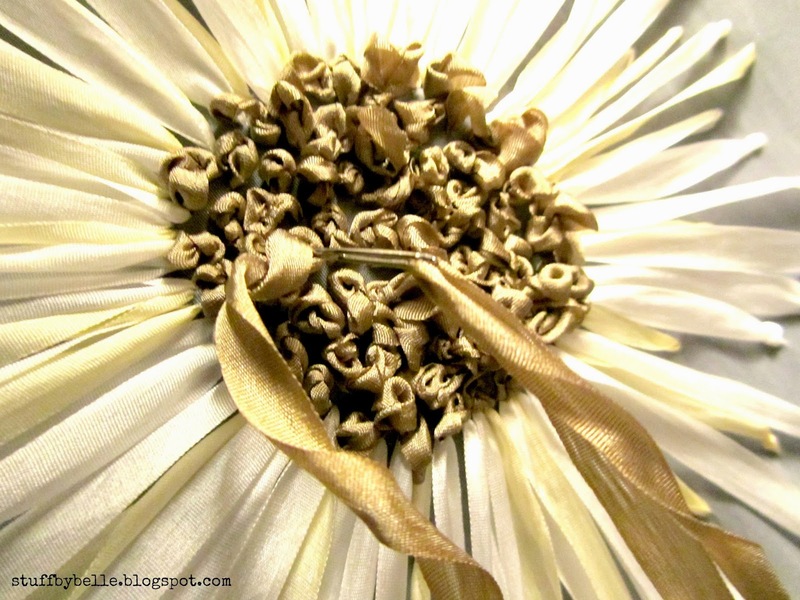 You will need an embroidery hoop, pillow form, fabric, a needle and over course the gorgeous silk ribbon (white SK01, ivory SK09 and antique gold SK-33). 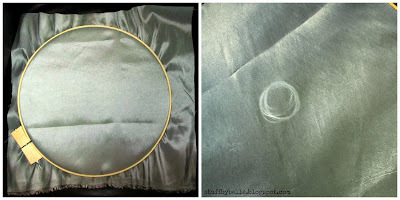 The set up for this project is pretty easy; cut your fabric into 2 pieces about a ½ inch larger that your pillow form, put one piece in your hoop so it is fairly tight and I marked a small circle in the middle with chalk as a guide to get me started. 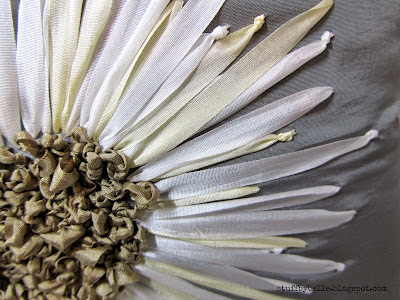 I started with the white silk embroidering random lengths, some knotted at the end and some not, for the petals. After I had a full flower with white I added some ivory, to create texture. I created the flower center by knotting the antique gold. I used my sewing machine to sew the 2 pieces of fabric together leaving a hole to insert the pillow form; once the form is in I sewed the hole closed by hand. Here is the finished pillow. 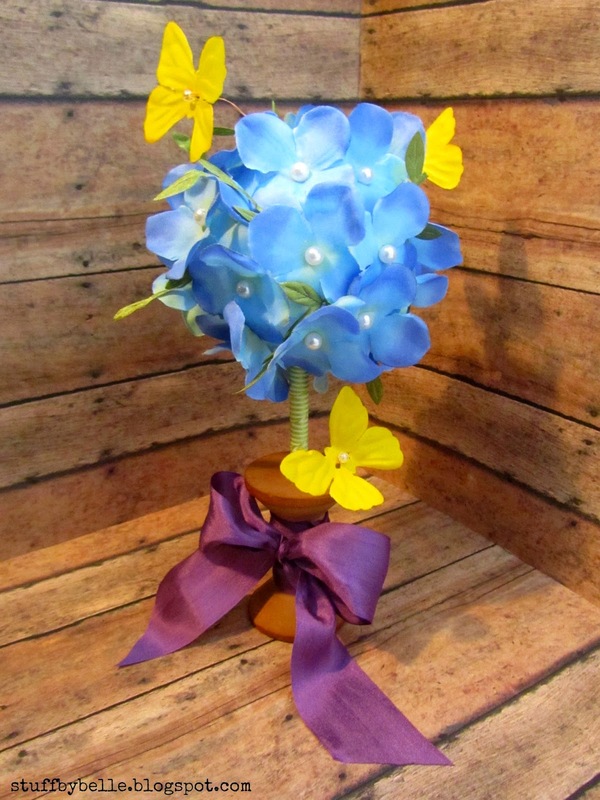 And here is a close up of the flower. 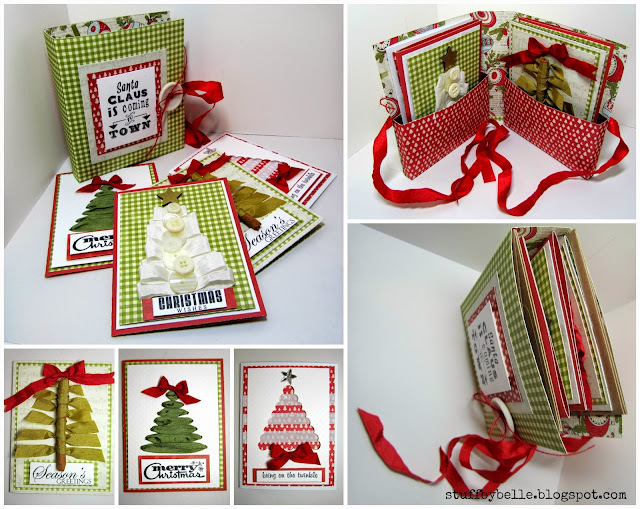 Now a couple of other projects...all using May Arts ribbon. 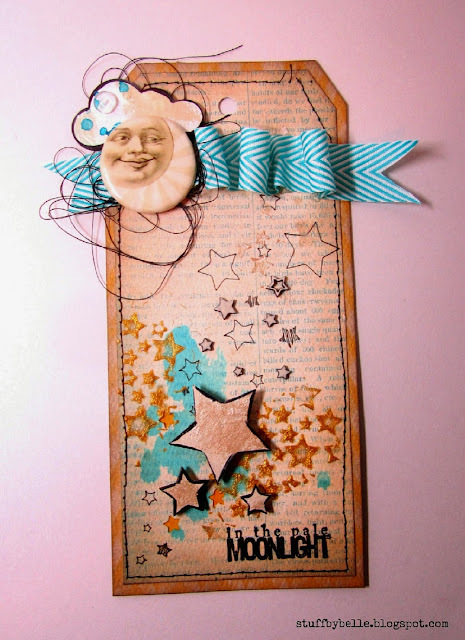 Today I am sharing a fun altered item over at Art Anthology. 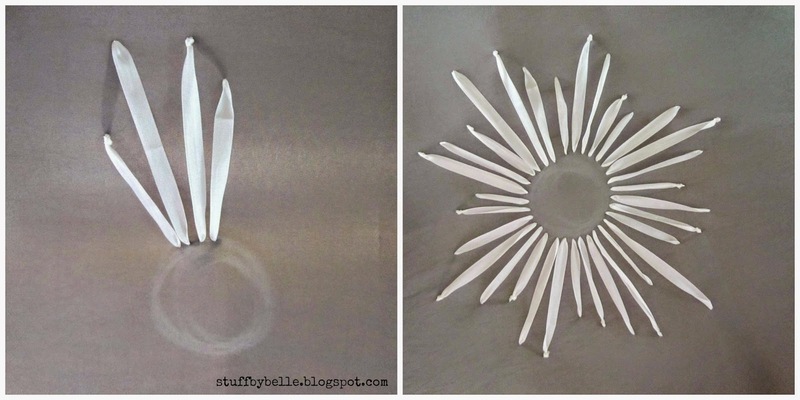 I participated in a Paint Stir Stick swap. 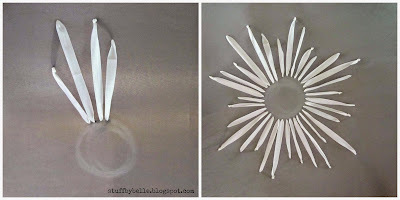 Pop over there for all the details and a step by step guide. Labels: Art Anthology, Brusho, michele kosciolek, modeling paste, thread, Um Wow Studio, Viva La VegaStamps!, VLVS! At SWAT our first drill for May is a mood board. I was inspired to try a watercolor technique inspired by one of my design team mates over at Viva Las VegaStamps!, Mary. I just LOVE it!! 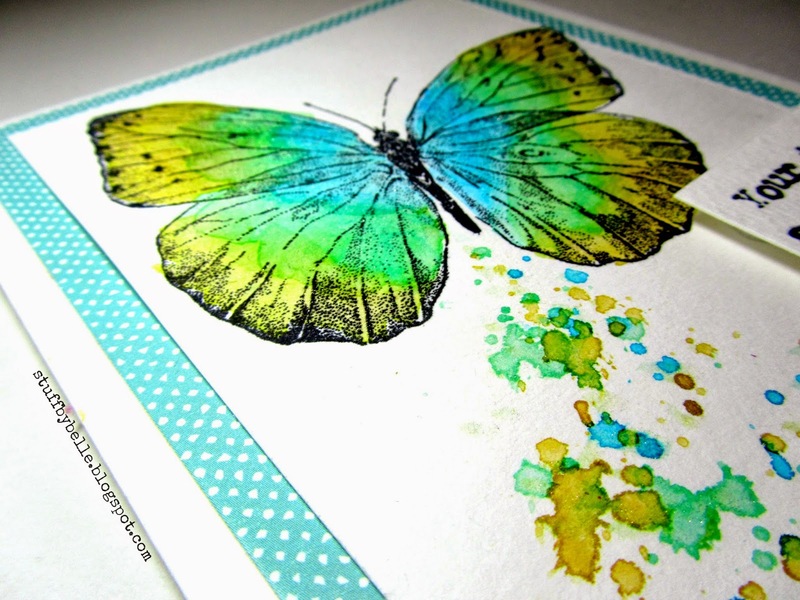 I uses Distress Spray to watercolor and splatter. 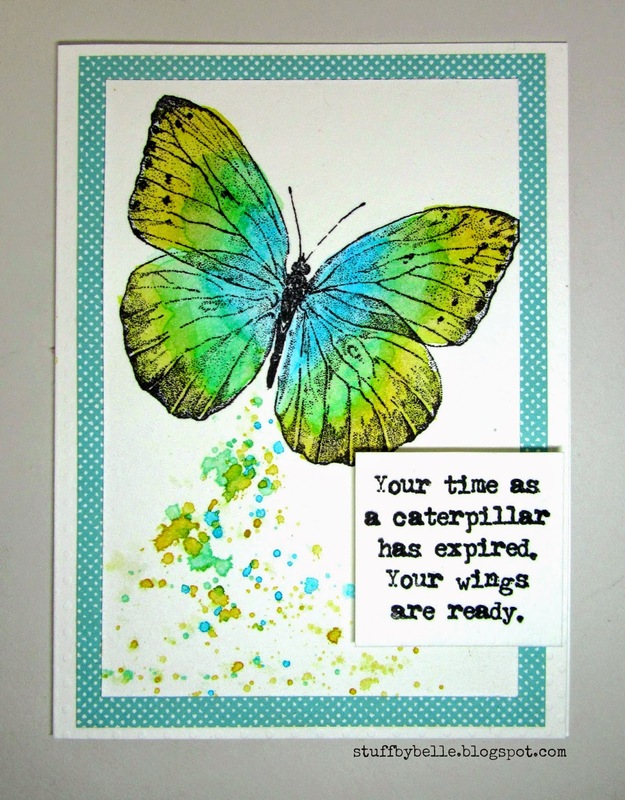 The stamps are from Viva Las VegaStamps!, Butterfly Gossamer and Your Time as a Caterpillar. I stamped in archival ink and applied a coat of clear wink of stella for a beautiful shimmmer. 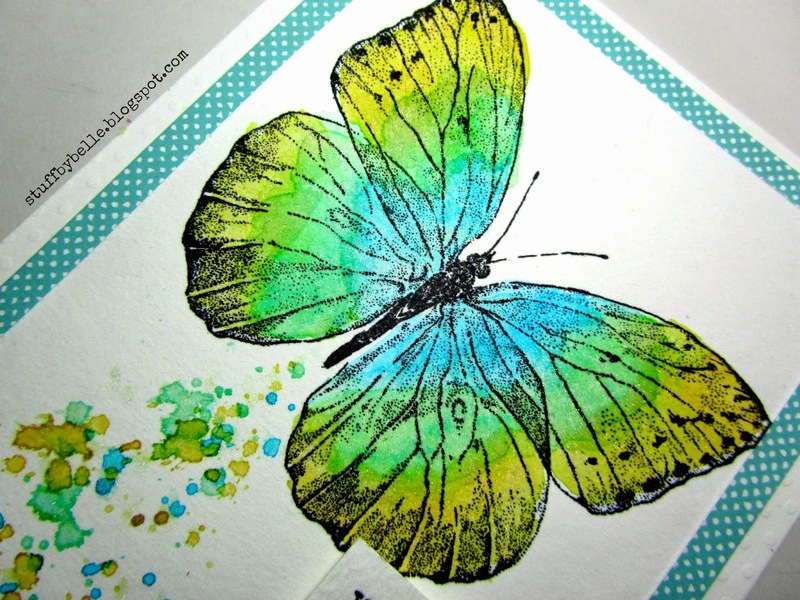 I stamped on watercolor paper, the base is Bazzill and the middle layer is Websters Pages. I popped up the sentiment for some depth. I hope you are inspired to participate in our challenge, you have until the end of the month to link up at SWAT.